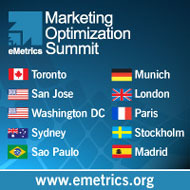 Episode 52: Looking forward to 2012 with Joe Stanhope | Beyond Web Analytics! In this episode, the Beyond Web Analytics team talks with Joe Stanhope, Senior Analyst with Forrester Research about what did and did not happen in 2011 and what the team thinks that 2012 will hold for the digital measurement industry. The conversation covers privacy, tag management, mergers, and rampant speculation.